Big, Juicy Burger. No more needs to be said. Sometimes you just need a burger and chips. Sainsbury’s do these really nice beef and cheddar burgers, and I put them in the oven so the puffed up really nice. Add some garlic mayo and BAM! A tasty reminds-me-of-childhood meal. Love it. Yum. I’ve never heard of garlic mayo before… sounds fabulous! It’s superb! I haven’t used regular mayo since, it’s that good! Wow. They look incredible. Planning a trip north maybe in September, so I’ll add it to the itinerary! fries look great and would go great with the garlic mayo. any particular brand? Had Heinz last night, which is good stuff. There’s a company in the UK called The Garlic Company that makes a really strong Roasted Garlic Mayonnaise, but it’s quite hard to get hold of. Wow! Garlic mayo! I made it once. I added homemade roasted garlic to regular mayo. Yummers! I should try that! Did you do anything to the garlic after you roasted it, and before you put it in the regular mayo? I always feel funkadelic 😀 After we’ve finished the next jar of garlic mayo I will definitely give that a try! Once you try, it’s hard to go back to regular mayo! 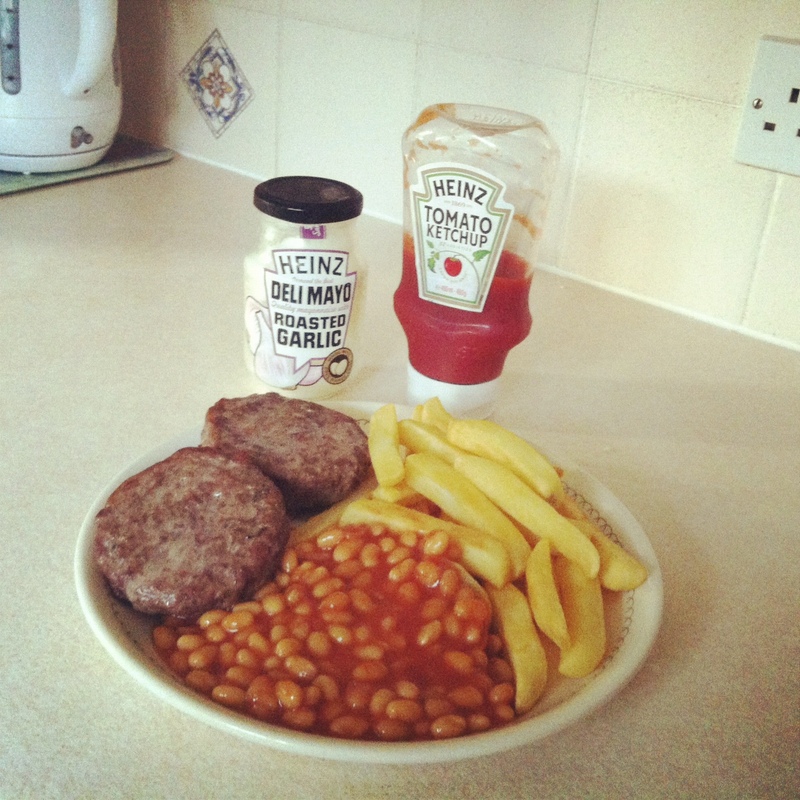 nice combination riley, childhood dream pork and beans with fries, yum yum yum…. It’s superb! A commenter above suggested a way of making your own, which sounds easy enough if you can’t find the jar in the US!